InsideOut Quality Home Improvements, Inc. Comment: We have some mild (we think / hope) rot along the base of a column on our front patio, and along a several foot wide section on the back side of the house. We are looking to repair it, but not sure of the materials or options we have. Thank you! Comment: I want to replace the t1-11 siding with Hardiboard. Comment: A section of siding loosened. Sarasota Siding Contractors are rated 4.73 out of 5 based on 959 reviews of 43 pros. 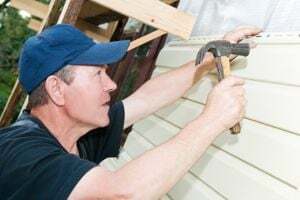 Not Looking for Siding Contractors in Sarasota, FL?